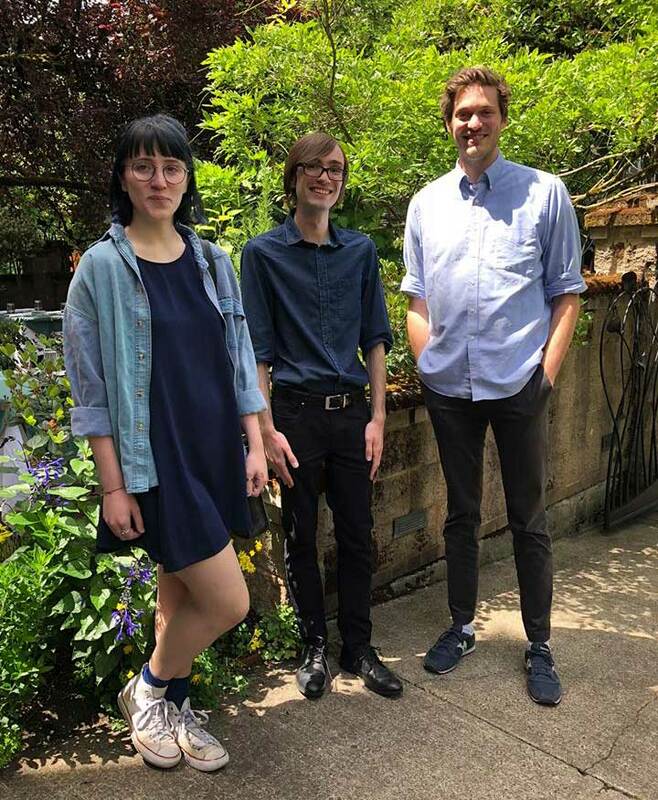 The Department of the History of Art and Architecture celebrated several stellar students in June: Allison Schukis, Benjamin Davis, and Rowan Tabor. Allison Schukis earned the Gloria Tovar Lee Scholarship for Promising Student in Art History and the Vice President for Research and Innovation’s Undergraduate Fellowship for her work on gender and agency in archaic Greek sculpture. The fellowship, which supports Schukis’s research for her art history honors thesis, will help her continue her work this summer examining the Phrasikleia Kore in Athens, Greece. Schukis is a junior in the UO’s Clark Honors College, who is double majoring in art history and fine arts. Benjamin Davis received the Marian Donnelly Book Prize for best graduate essay. Davis’s paper, titled “Status, Agency, and Craftsmanship in the Berlin Foundry Cup" explores an iconic Greek vessel. The Berlin Foundry Cup, also known as a kylix, is an ancient Greek cup with a shallow bowl and a tall stem dating from the early 5th century BC. Rowan Tabor received the Marian Donnelly Book Prize for best undergraduate essay for his paper on the Oregon-based medical illustrator Clarice Ashworth Francone. Tabor’s highly original research examines primary source materials and connects Francone's work to the broader literature on medical illustration. Tabor just graduated this month with a history major and art history minor.